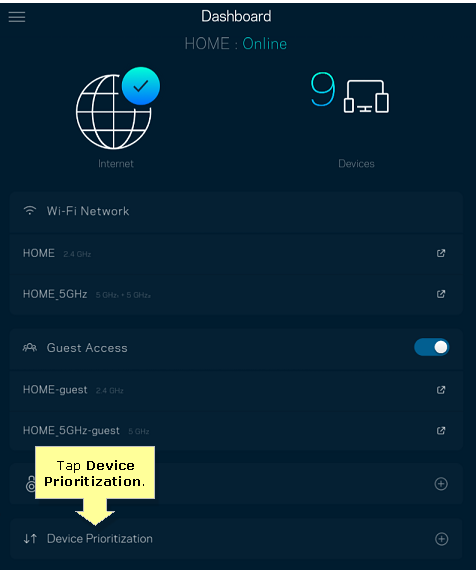 The Linksys app allows you to easily tap into your home network and configure the settings of your router using your mobile device. It comes with the Device Prioritization feature that allows you to prioritize what devices or applications on your network will get the most bandwidth. IMPORTANT: Before you proceed, you need to successfully install the Linksys app on your device. For more information, click here. Log in to your Linksys cloud account. For step-by-step instructions, click here. You can also tap on Log in with Router Password at the bottom of the screen. On the Dashboard, tap Device Prioritization. QUICK TIP: You can also access this feature through the Menu. Tap Add a device. A list of devices connected to the network will be displayed. 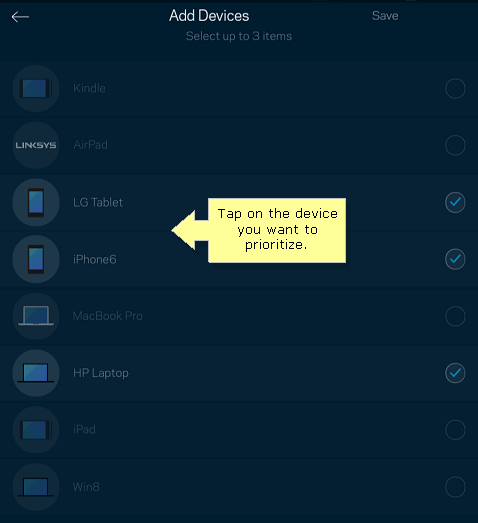 Tap on the device you want to prioritize to select it. You can prioritize up to three (3) devices. NOTE: If the switch button on the Dashboard is grey, tap it to enable the feature. 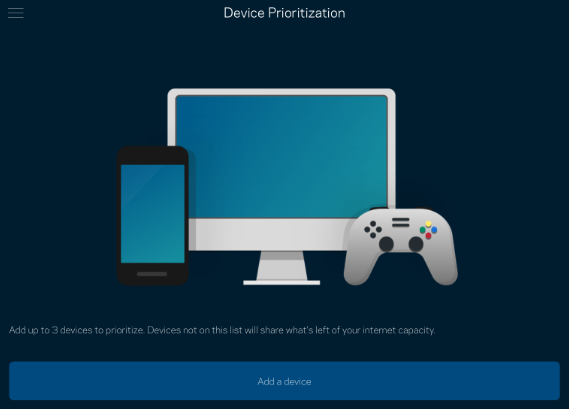 You have now successfully set up Device Prioritization for your devices. To remove a device from the list, tap then tap the Remove icon. If you want to change the priority of devices, tap Change instead.